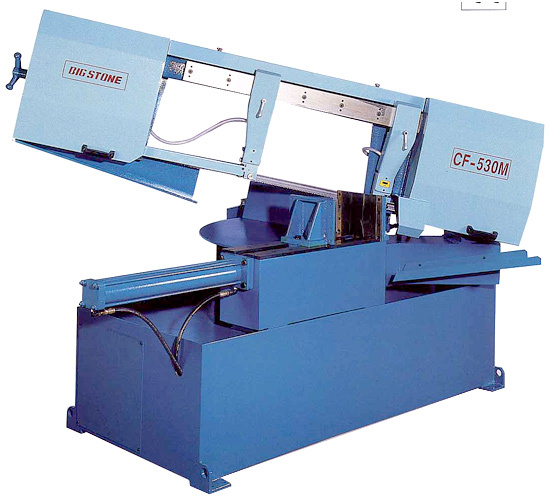 Semi-Auto Miter Cutting Band Saw (CF-530M) - Big Stone Machinery Co., Ltd.
(1) 2 meters roller table. 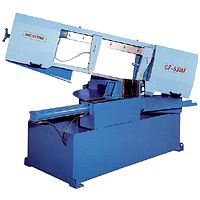 Unique mitre cutting design which allows cuts from 0°-60° by swivelling the head of the machine. The angle is set accurately with the aid of a graduated scale.